The villains of Gotham are dressing up like Batman and Batgirl! This Batman Impopster Batgirl Harley Quinn Pop! Vinyl Figure features Harley's signature colors applied to Batgirl's classic costume. 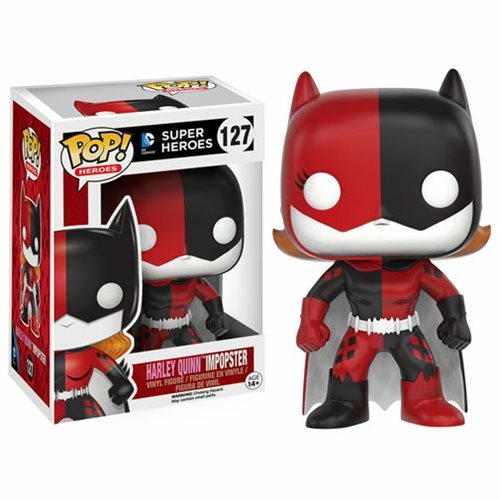 The Batman Impopster Batgirl Harley Quinn Pop! Vinyl Figure measures approximately 3 3/4-inches tall and comes packaged in a window display box. Ages 14 and up. Gotham Villains Steal the Scene as Pop! Vinyl Impopsters!